Forget your bulky BBQ grill. 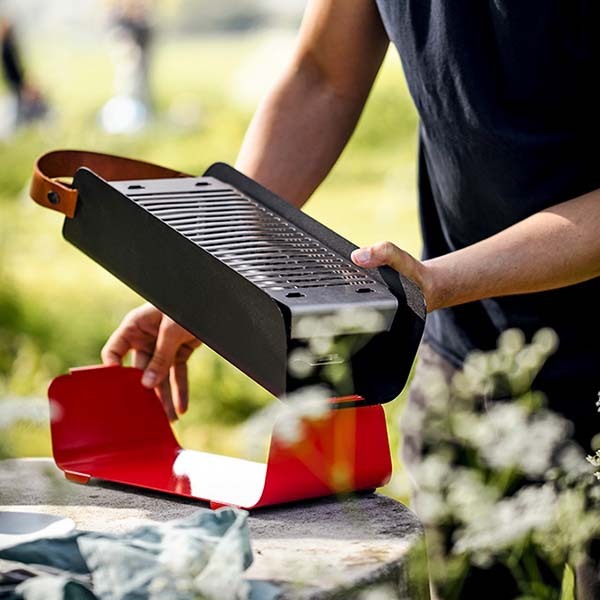 With a compact design and integrated strap, UNA portable charcoal grill lets you more easily have a great BBQ party. Like the idea? Let’s keep checking. The UNA is a convenient and practical portable BBQ grill that measures 17 x 6.2 x 3.5 inches (430 x 160 x 90mm) and weighs 8.2lbs (3.7kg). 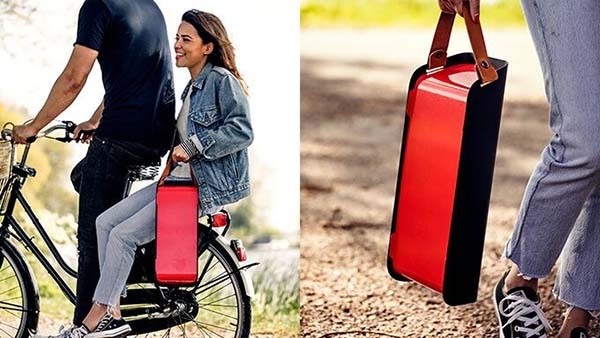 The compact and lightweight design allows you to easily take it outdoors for a BBQ party, and an integrated leather strap is designed for easy to grab and go. Meanwhile, multiple optional colors allow it to meet different personal styles. When not in use, the grill can be stored in any corner of your house with ease. The casing, lid and stand are made from steel, and the cooking grate, charcoal grate and ash collector are made of brushed stainless steel. All the parts are put together for a solid construction. The BBQ grill uses charcoal to grill your favorite foods, and the stainless steel cooking grate features custom grooves to keep your kebabs in place. In addition, removable ash collector and charcoal grate make the grill is easy to clean. The crowdfunding campaign for UNA is ongoing on Kickstarter. You can pledge €99 (approx US$111) to own the portable BBQ grill. The team behind the product has achieved the fund goal. It should be shipped in October 2017.